Sometimes eggs sit in the fridge, and the hostess already can not remember how long she kept them. 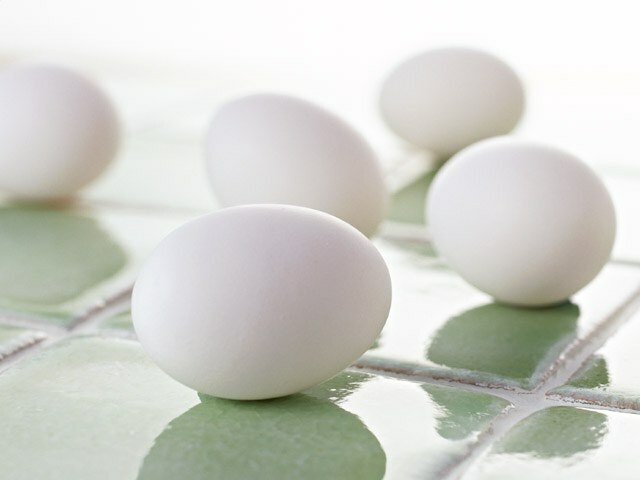 In order to protect your family from poisoning stale eggs, before use, should check the suitability of each of them. Take the egg in your hand and gently shake it. If it is fresh, you won't make much of shaking inside of the shell. If the egg is stale, then the inner content will be to actively move. Use water to determine the quality of hen eggs. Type cool water in a pot or deep bowl, dip it in the eggs. Fresh will remain at the bottom in a horizontal position, those that lie in the refrigerator for a week, will lie in the water at an angle, and stale eggs will float to the surface vertically. This method is based on the fact that the longer lays the egg, the more air it's going. Accordingly, stale eggs pulls the surface air that has accumulated inside. The freshness of eggs can be determined and externally. Tone fresh chicken eggs are smooth, the shell clean and a little shiny. Stale eggs matte, white becoming grayish or acquires a yellow tint. Eggs can be checked with the purchase in the store. To do this, you should use the ovoscope is a special instrument for quality control with the help of their screening. Fresh egg whites are fully translucent, the yolk is in the center. Eggs that had lain a week or two, will be x-rayed, but the protein you will notice small dark areas. Spoiled eggs do not translucent. Quality check can be arranged, smashing the egg on the plate. At the same time, pay attention to protein. From fresh chicken eggs it is lush, has a rounded shape, is tightly around the yolk, has two layers - jelly and liquid tight external. Older eggs lose the duality of the protein, breaking it, you get a liquid yolk and protein mass on the plate around. Try not to start cooking without checking the freshness of eggs. Despite the date on the package, you may want to ensure their fitness, in fact carried these eggs could be a week or more before bottling. Chicken eggs in the fridge almost every. They are good as a separate dish or as a component of soups, sauces, baking. They contain vitamins A, D, E, calcium, phosphorus, sodium. However, the quality of eggs largely depends on their freshness. In appearance to determine the freshness of eggs is hard enough, but remember that fresh eggs the shell always clean and shiny. Have a not too fresh egg shell matte and has a grayish or yellowish tint. If the egg shake, then fresh will be quiet "sit" in the shell, and the poor will as a little dangle. The easiest way to check is to place the egg in a container of water. Fresh egg will immediately sink to the bottom and take a horizontal position. If the egg looked about a week, it should pop up slightly dull side up. The thing is that over time, the inside of the egg with the blunt side of the accumulated air. He pulls the egg up. If the egg was in a vertical position, it means that the age of 2-3 weeks. For food use, but store no longer worth it. However, this test can be inaccurate if the shell has a small crack, through which the egg could get more air. In industrial conditions the freshness of eggs is determined by candling. 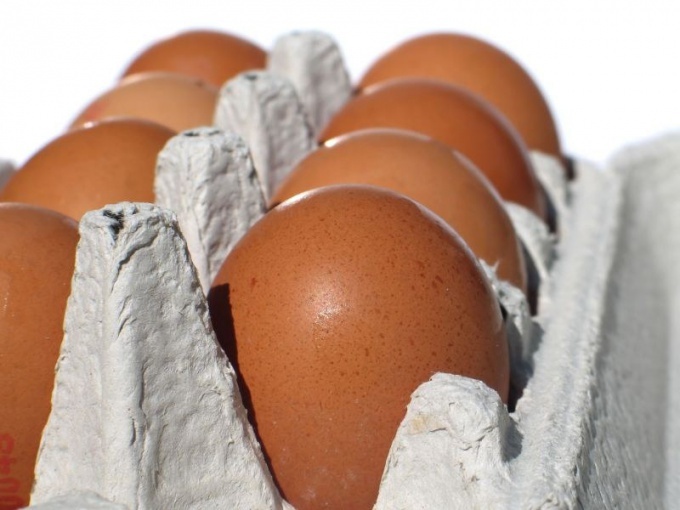 Have fresh eggs easily-rayed protein, and the yolk is almost invisible. If there is a small blackout, then the egg is not too fresh. But the wretched egg is not visible at all. You can determine the freshness of the egg, breaking it. Look closely at the yolk and white. Have svezhenanesennogo egg yolk has a dense globular form. Around the yolk 2 layers of protein in a denser, outside - spreading. The egg is a week old still retains the shape of the yolk, but the protein is already homogeneous and spreads. The egg, whose age 2-3 weeks, you'll be flattened yolk and spreading in protein. Not to spoil the dish poor the egg, you should break each egg into a separate bowl before adding to the dish. Fresh eggs stored in the refrigerator for 3-4 weeks, but broken need to use within 2 days. Frozen egg mixture can be stored for 4 months.